Andara Resort & Villas is the pinnacle in luxury destination. Andara Resort and Villas is surrounded by a lush tropical landscape overlooking Kamala Bay on the south western coast of Phuket. 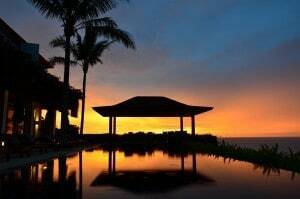 Boasting stunning sea views from sunrise to sunset, Andara Resort offers guests exceptional everything. Select from serene private infinity pool villas, to spacious suites, the range of accommodation caters to the seasoned traveller, the romantics among us, and those requiring a well-deserved family break. All villas take advantage of magnificent sea views where each is nestled amidst tropical surrounds, offering privacy and serenity. Thai artifacts, Jim Thompson silks, extensive use of teak, complimented by black granite and floor to ceiling glass and natural light combine together beautifully to create an exceptional ambience. Each villa boasts a dedicated infinity pool, outdoor sala areas; for dining, relaxation and quiet contemplation; spacious bedrooms all with ensuites, separate family room, living/dining area, and fully equipped western style kitchen separated by large wooden doors where your private Thai chef creates sublime feasts, assisted by the dedicated villa attendant. These suites are smaller versions of the pool villas; spacious and beautifully appointed. Beautiful natural light filters through the large floor to ceiling glass doors, opening up the already expansive living/dining area and western style kitchen. Beautiful bedrooms each with its own ensuite complete this haven. Most suites feature a private pool. The 37 suites are available in 3 categories, terrace, pool or penthouse pool; 1, 2, 3 or 4 bedrooms ranging in size from 150m2 to 890m2. 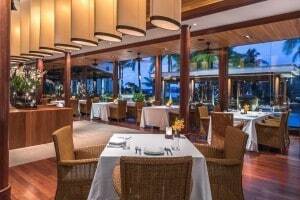 Discover the very best of traditional Thai cuisine and Western specialties where pre-dinner cocktails poolside or at the uber-chic indoor bar are highly recommended before dining alfresco on plush sofas or amidst Thai artifacts and magnificent lanterns. a serene sanctuary where one is encouraged to relax, unwind and enjoy the luxurious pampering. Our beauty salon, located in a separate, discreet area is perfect for that express manicure or pedicure. Our exclusive range of tailor-made spa products provides a sensory overload. A fully equipped gym with personable, attentive staff awaits those fitness buffs. Or let your inner Roger Federer out on the center court of beautiful Andara. The kids club is perfect for the little ones to gather, create, and have fun. Our magnificent Baglietto Italian-designed motor yacht is available at Andara Resort Celebrity Yacht for a private day and overnight charters. 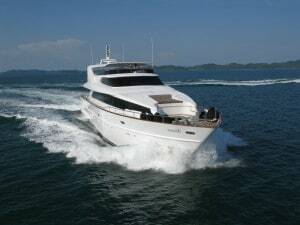 The yacht is exquisitely customized matching the luxurious Andara style and comfort. Our experienced Captain and crew including a private chef will take care of your every need while cruising the waters of Phuket. Advanced booking is required. Visit Andara Resort and Villas online and find out more.